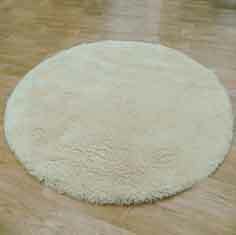 Finding a high quality, wool pile shaggy rug in a circle is a hard task these days. One of the few we stock is this luxurious Ishaggy collection. Ishaggy round rugs are available in a 150cm diameter size only, bespoke sizes are available to order.